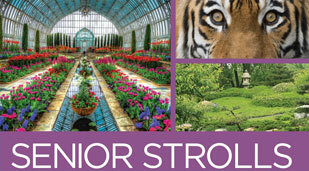 Senior Strolls take place select Tuesdays through February. This is a special time set aside for just for our 55-and-up aged friends. 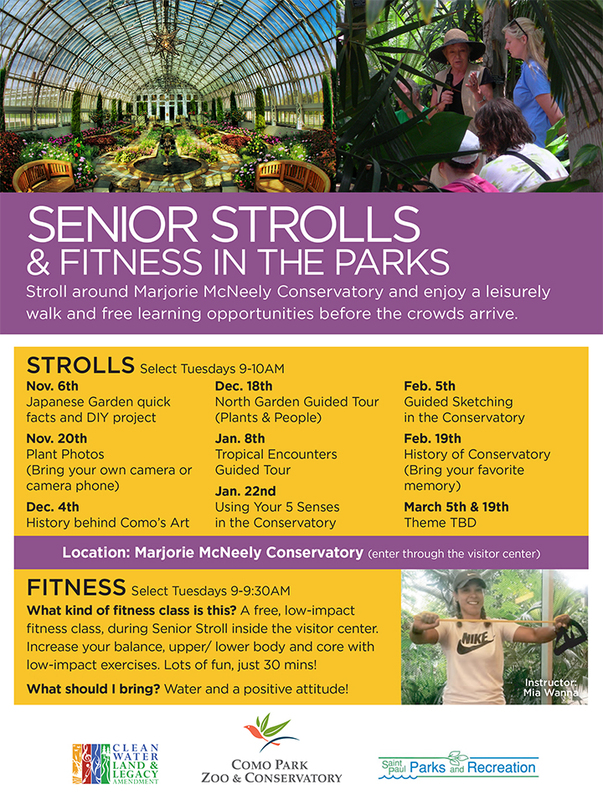 Each month will feature an opportunity to visit a part of the Zoo or Conservatory for a leisurely walk before the crowds as well as special activities and guests. 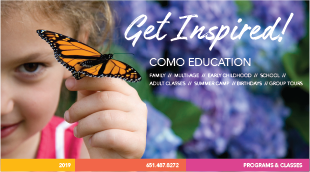 This event is a great opportunity for Seniors to enjoy a free event that encourages being active and social with some adult learning to spice it up.